The Defenbaugh family cuts a ribbon to signify the opening of their new 2,496 head wean-to-finish pig barn outside of Blackstone. BLOOMINGTON — Illinois Congresswoman Cheri Bustos is no longer a member of the House Committee on Agriculture, due to her being named to the House Appropriations Committee, during the new 116th U.S. Congress. Though her departure may seem like a key legislative loss for Illinois farmers, the Illinois Corn Growers Association pointed out in a recent post that Bustos’ new role could allow her to serve Illinois’ agricultural community in ways she was unable to as a member of the House Ag Committee. In a letter, Bustos said she would still be representing farmers, but at the highest levels of Congress. “To renew the promise of our region, one of my top priorities will be major investments in our infrastructure, ranging from our roads and bridges to our locks and dams. We also need to work harder to meet the needs of rural hospitals that provide critical care to families in small towns while adequately funding agriculture priorities like the research at the Peoria Agriculture Lab. URBANA — The University of Illinois College of Agricultural, Consumer and Environmental Sciences has published the field research results conducted by Extension specialists during 2018. The report, “Applied Research Results on Field Crop Pest and Disease Control,” includes evaluations of plant varieties, management practices and products for combatting insects, nematodes and crop diseases, and the results of statewide pest surveys. It is available online. Among the highlights of the report are the first year’s results from a two-year corn nematode study that examines nematode-protectant seed coatings, and insect control evaluations for western corn rootworm and Japanese beetles. The team plans to release an annual report of their research findings from here on out, according to a U of I news release. The report can be accessed at www.go.illinois.edu/PestPathogenReport_2018. CAMBRIDGE, MASS. — 2018 Farm Aid grants were distributed recently, with almost $700,000 distributed to 78 family farm, rural service and urban agriculture organizations in 36 states and the District of Columbia, including three Illinois ag organizations. They include the Illinois Stewardship Alliance of Springfield, which was awarded $6,000 in order to lobby for their legislative priorities in Springfield, engage members and develop leaders. BLACKSTONE — As the farm economy continues its downward spiral, farmers are still diversifying their operations at a fast pace in Illinois, most notably via livestock expansion. 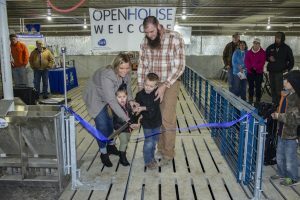 The first open house for a pig barn — something we reported on quite frequently in this column the past two years — of the new year was held earlier this month at the Kevin and Tabitha Defenbaugh farm outside of Blackstone in Livingston County. Like many of the farm families who have chosen to diversify or expand their operations to include livestock production, the Defenbaughs have young children and built their barn to better prepare their farm for the future. 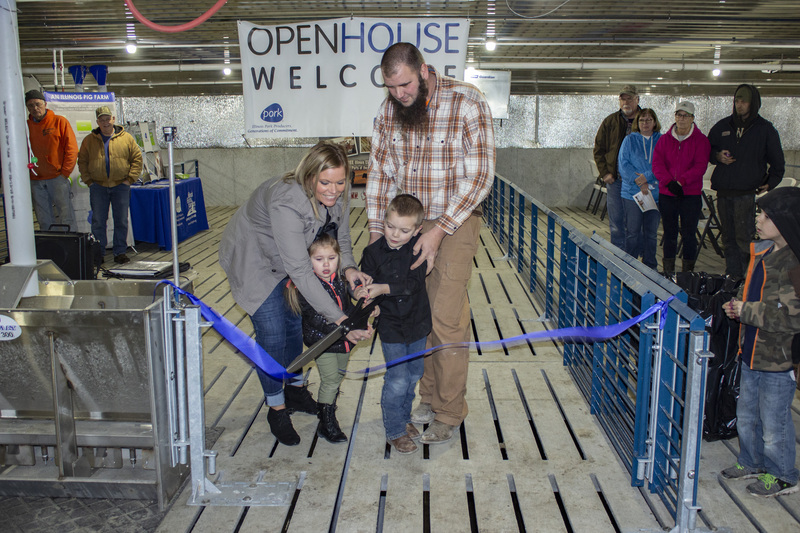 The open house, held by the Illinois Livestock Development Group and Illinois Pork Producers Association, allowed visitors to get a look inside a modern pig barn before the pigs move in. New technologies featured in the 2,496-head capacity barn include automatic fans and ventilation, 24/7 access to feed and water and a controlled environment that contributes to safer living conditions for the pigs.